After graduating from the California Culinary Academy, Brandon passionately pursued his culinary career, seeking exposure to both domestic and international techniques and experiences. He attributes much of his inspiration and success to time spent at notable Northern California dining destinations, including Delfina in San Francisco, The French Laundry in Napa Valley, and Chez Panisse in Berkeley. It was in these establishments that he first discovered his love for wood fired foods in the Italian tradition. 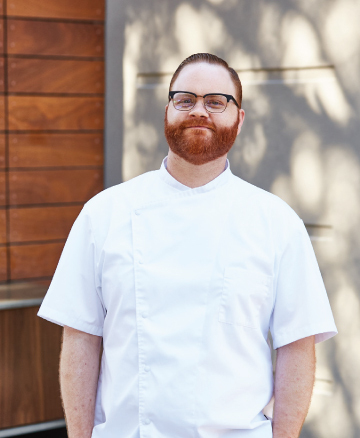 Before joining the team at Luma on Park, Brandon served as Chef de Cuisine at Bacchanalia in Atlanta, GA, where he worked with his mentor, James Beard Award winner, Anne Quatrano. 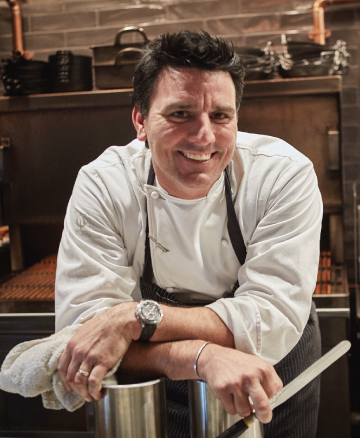 Since Brandon was named Executive Chef at Luma on Park in 2006, the restaurant received much critical acclaim including Wine Spectators Award of Excellence, Florida Trend Magazines Golden Spoon Award and the AAA Four-Diamond Award. In 2011, Brandon enchanted guests with Italian inspired plates crafted from market-fresh ingredients prepared in Acunto oak-burning ovens with the opening of Prato. With the opening of his third concept, Lukes Kitchen and Bar, Brandon will bring his culinary experiences to the table, with a menu inspired by the culinary traditions from coast to coast. 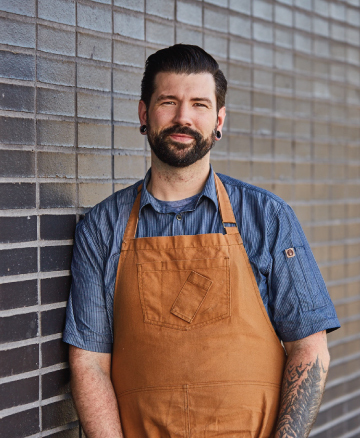 Growing up in Ohio, surrounded by his familys shared passion for food, Derek quickly became enamored with the power of cooking and its ability to bring people together. After graduating in 2001 from Le Cordon Bleu, Derek gained experience with Mediterranean and Caribbean cooking techniques while working at Kaya in Pittsburgh. To develop his international techniques, Derek also explored Italian cuisine at James Dominic in Cleveland. In 2007, Derek met with Chef Brandon McGlamery at Luma on Park and has worked in tandem with him ever since. 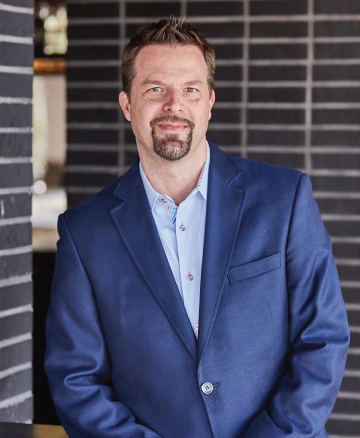 Today, as Executive Chef of McGlamerys third concept, Derek successfully practices his cooking philosophy: ingredient-driven cuisine, crafted with the same enthusiasm and culinary excitement Derek first experienced in childhood. From an early age, Brian knew he was meant to exert his talent and dedication in a kitchen. After graduating from the Orlando Culinary Academy in 2004, Brian began his culinary career exclusively on the savory side of the kitchen in notable restaurants throughout Charleston. However, after joining the culinary team at Luma on Park in 2007, Brian discovered his aptitude for baking. Accepting the role as Pastry Chef, Brian experimented with classical recipes and diverse flavors, meticulously balancing sweet components with savory nuances. Following the opening of Prato in 2011, Brian took a rustic and straightforward approach in crafting pastries and dough for the Italian concept. For their newest restaurant, Lukes Kitchen and Bar, Brian will create signature American desserts, using high-quality local and seasonal ingredients. Growing up in St. Louis and as son of a franchise owner, Tim was immersed in the restaurant industry at an early age. Some of his earliest memories of food center on working in his mothers restaurants making pizza sauce and rolling dough. In 1991, Tim officially began his career in the restaurant industry as a server at Prima Pasta in Houston, where he was quickly promoted as the restaurants only manager. After overseeing the operations of numerous eateries across the country for the past 10 years, Tim moved to Atlanta to join Concentrics Restaurants and managed Murphys restaurant. In 2007, Concentrics relocated Tim to Winter Park to operate the opening of Luma on Park. After working alongside Chef Brandon McGlamery and the talented team of Luma on Park, Tim came on board permanently as their General Manager. Following the opening of Prato in 2011, Tim was promoted to Operating Partner and manages all front of house operations for Park Lights Hospitality Group restaurants, Luma on Park, Prato and Lukes Kitchen and Bar.